Her SHEROES Profile is a riot of rainbow colors literally drawn from life....where she has showcased entrepreneurs as young as 22 and even those taking a flight towards their entrepreneurial dreams at the age of 60! She is the star of the SHE STARTS UP Community. Her SHEROES profile reads: I'm the Founder of The Lifestyle Portal (TLP). But then, she is a Sociology Graduate and a former journalist who has written for several leading publications in the past. The cherry on the cake is her being a travel expert and a travel writer. Isn't that an interesting mix of talent? 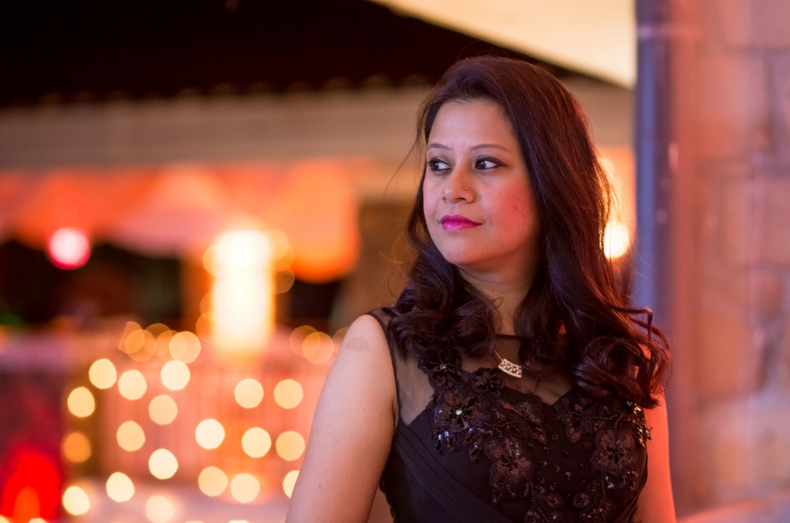 So let’s know more about 38-year-old Tanya Munshi who is based out of Mumbai and Pune. Myself being a journalist, it was like asking my own tribe - Hey how did you divert to something else? And she laughs asking me the same...and we both laugh aloud. "Mahima, I never wanted to be a writer as such; it happened by chance....to prove to my detractors that if I can believe it, I can achieve it. I faced three jolts in life. My English teacher in grade seven always used to tell me: Tanya, you cannot write. The second jolt came in when I could not qualify for the Services Selection Board (SSB) to join the Army like my Dad. My father suggested that since I had finesse for photography, I can become a photo/war journalist. That’s when I qualified to the SNDT Women’s University to pursue my post-graduation in Communication & Media. I had overcome the fear of being rejected as a bad writer! But later came the third jolt, when I was turned down as a fresher by Editors of top publications. But my resolve to prove myself got stronger. Fourth and the biggest jolt came in post my wedding when I was refused a job because he said that my husband being in a transferable job would impact my work. But this time I was determined to start something off my own where everyone got a chance, whether seasoned or a novice and location would be no barrier at all," Tanya details all this in a single breath. I could gauge the emotions dwelling inside her, that molten lava which had settled, kind of simmered for a while. But she fights back the emotions with elan and details how she diverted all the negative energy that was thrown at her, to turn it into a positive fight-for-right and set up The Lifestyle Portal. "TLP started out as an online portfolio in February 2011, where I wanted to document my published and unpublished work from my journalism days. With passing time, people especially entrepreneurs, started approaching me wanting to be featured on my platform. It doesn’t matter how big or small their entrepreneurial dreams are, everyone deserves a fair chance. And that’s what TLP has been all about." She calls The Lifestyle Portal (TLP) her first child! But in a calm voice she adds that her journey hasn't been as easy as it seems. The calm that comes with maturity? Or perhaps the calm that comes after you have lost a lot in life, have rebuilt yourself from the broken pieces and attained a level of contentment? Tanya is a single parent. And informs that she restarted her life as a single mother when her daughter was just one,"The 2.5 year court proceedings drained me out mentally, physically and financially. I had almost a zero bank balance. But I had to keep going as 'single-mum double parent' for the best of my daughter. I chose to work from home. And today I am the proud parent of an 8-year-old Lifestyle portal and a six-year-old girl !" What held you strong Tanya? "Three things Mahima. My parents and my friends who stood by me, rock solid. Secondly my belief that my divorce doesn't define me, so I will not let anyone judge me. My strong belief that my daughter and I are equally capable, able and we too deserve to live with dignity and self-respect. And thirdly, come what may, I will not give up." She smiles and adds, "I may not have become a soldier in the army, but I did become my own hero and a soldier at heart." And I agree. The atmosphere was getting a bit emotionally-heavy. To lighten it a bit, I moved back to her first child, "Tanya, what's your most favourite memory of the TLP?" "Oh, there was this lady Sarla Minni who is also famous as Kahaniwali Nani (Storyteller Granny). She used to send stories to children through WhatsApp! I interviewed her for my portal in June 2017. From here she was spotted by several top publications including the BBC! She and I both were super-elated!" Tanya informs showing this photo of hers with 'Kahaniwali Nani." "Mahima the second most cherished memory is about holding TLP is 1st Entrepreneur Meetup in August 2018. The overwhelming response has only taken my confidence to new levels." And today Tanya is seen sharing umpteen stories of budding as well as famous entrepreneurs at SHEROES to boost the morale of the members of the SHE STARTS UP Community. Tanya can you share the business model of your portal with the readers? May be someone whats to be another Tanya Munshi? She smile and informs," I joined SHEROES when it was called FLEXIMOMS. Then it was a fantastic platform to look up for freelancing writing assignments and connecting with people. And now it is great to see how it has grown from strength-to-strength...to strengthen so many women in different arenas. But obvious, I would love to share how we generate revenue at TLP. TLP's primary revenue model is through a membership program; second revenue stream is our Online Writing Program and thirdly we also earn through photo shoots for clients and creating curated content for them." A planned model, that comes out of a life that was completely overthrown by destiny's own random plans! Tanya smiles. And obviously I had to ask her, "First child doing great; now what's your vision for your daughter, Anindita?" "Mahima, I firmly believe that Anindita is an individual entity with a mind of her own. I have raised her to be an independent, assertive young girl. You know I have enrolled her in an after-school football program. And we both take pride in the fact that she is the only girl in the team. She gets the negative comments, but slowly is developing the skills to take it all in her stride and emerge as a winner. with passing days, she has been recognised as a great defender in the team and now the same detractors from her team have learnt to respect her. Thus, my vision for my daughter is that she learns life skills for her survival and excellence. I also teach her dignity of labour that no work is big or small, and helping around the house is not gender stereotyping, but a matter of survival and self-respect," Tanya details with a deep, assertive voice. "We all go through our share of challenges and we have to overcome them. My journey has made me wise, it has made me more grateful and optimistic. It has made me love myself more and put myself first. So value your life, value your me-time and have the courage to take more risks. It will help you evolve as a better human being and make you more confident, in-turn fueling that fire to excel. Go, Rise and Shine!" If, Tanya Munshi's story from the ongoing #MeetTheSheroes Series has left you inspired then do share it in your circle. And don't forget to leave some hugs for her in the comments column. You can also follow Tanya at SHEROES. Hey! Tanya your story speaks volumes on courage & never-say-die spirit. Salute! Sheroes is our mutual connection after LCA (school). Stay well dear! Love to your girl. What a beautiful story, hats off!